A4 Apparel are a leading provider of embroidered corporate clothing and bespoke workwear. With no minimum order requirements, fast turnaround times and competitive prices, our personalised embroidery service is suitable for individuals and businesses alike. We supply high quality and durable embroidered garments to a large range of clients including many recognised brands found on the UK high street. We stock a comprehensive range of apparel suitable for custom embroidery, so if you require your company logo embroidered onto a polo shirt or baseball cap, contact us on 01271 816158 or get a no obligation quick quote. Embroidery is the preferred method of garment decoration for corporate and workwear clothing as it looks classy and is an effective way of promoting your company, club or promotional event. 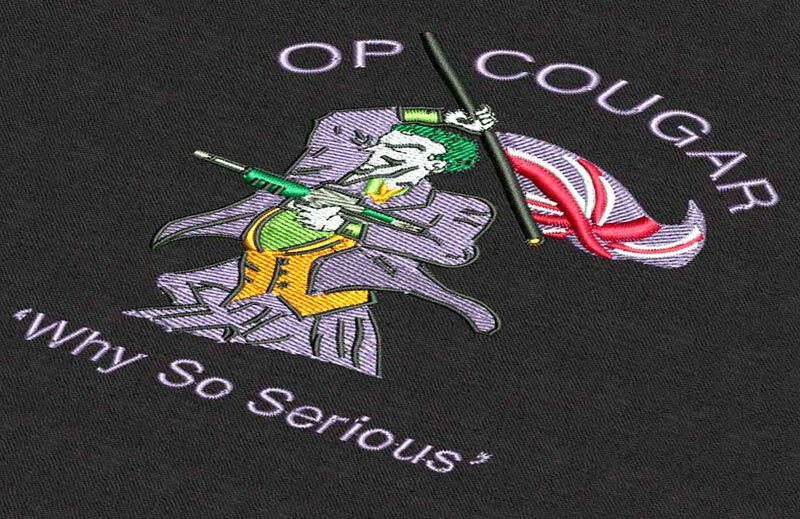 Our embroidery process can be applied to virtually all types of clothing including shirts and t shirts, hooded tops, embroidered polo shirts and baseball caps being amongst the favourites. 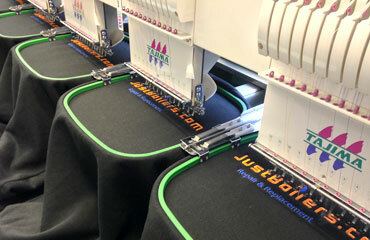 We can embroider your logo or design in up to ten colours in a number of locations. Usually the garment decoration will be an embroidered left chest or sleeve design but see the graphic above for more embroidery locations. 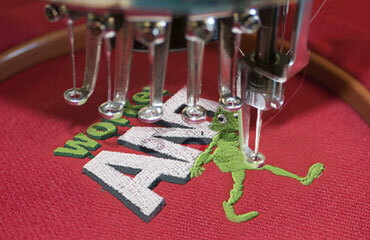 Satin stitch embroidery is ideal for lettering, single colour logos or small designs and provides a clean, elegant look. Available in a large range of threads, your logo or design can be colour matched to your corporate identity to create a long lasting professional looking garment. 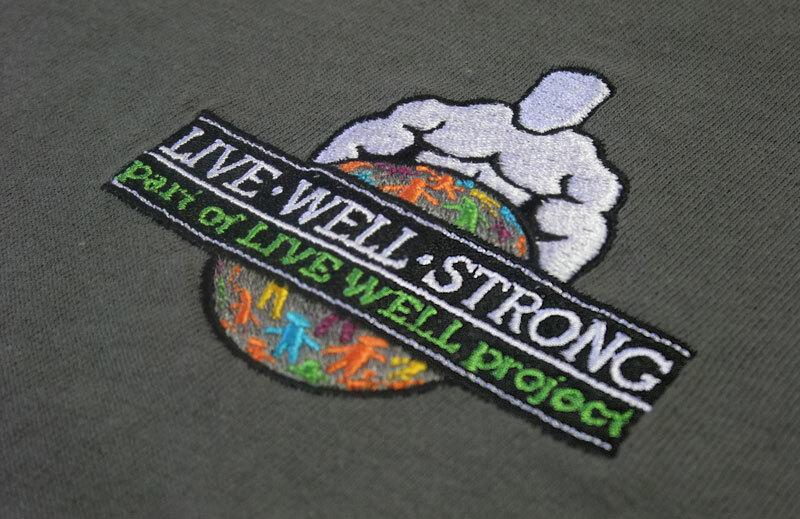 3D embroidery is great when you want your design to really stand out. 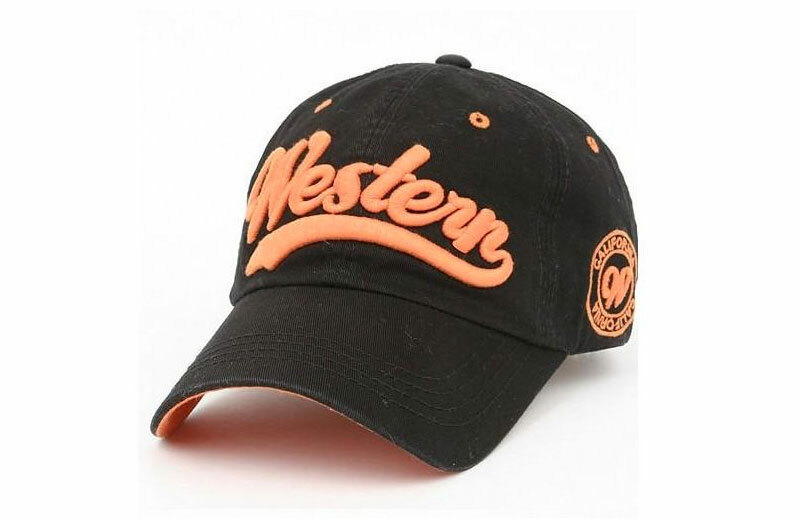 It is commonly seen on baseball caps. A piece of foam is stitched over with thread to create a raised effect. Tatami or 'fill' stitch runs the stitches close together and is used for a variety of purposes. For example, to fill in a banner under lettering or to fill any large area with colour. Different looks can be created by adjusting the stitch length, it's angle and the density of the stitch. The pattern fill is great for adding dimension to designs that would otherwise look flat. There are many patterns that can be created that will add interest to your artwork including the appearance of shading. 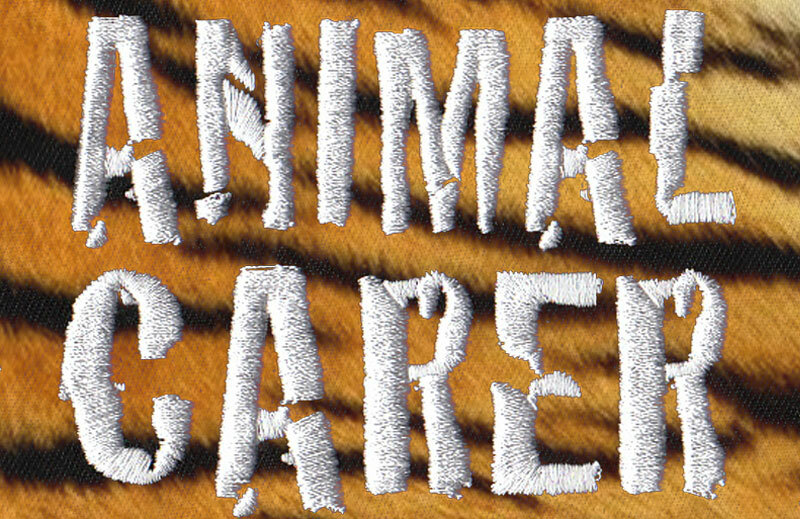 If you really want to get creative, Appliqué (applied patches) can really add a unique style to your design. 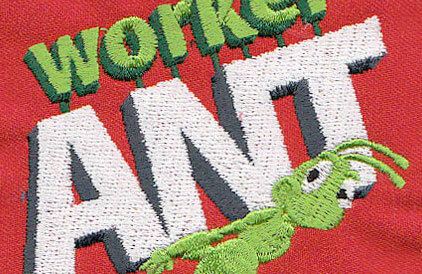 This method of embroidery involves placing a piece of material underneath your design which is then over-stitched. It's ideal for saving costs while retaining a professional look. 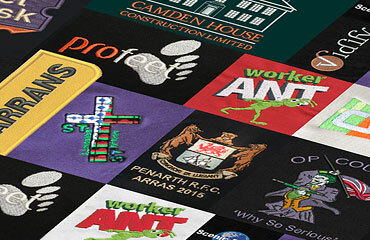 In order for your logo or design to be embroidered it will have to be digitised. This essentially involves converting your image into a digital version so that it can be read by an embroidery machine. Once you have submitted your design we'll produce a digitised version of your artwork and send it via email for your approval before stitching actually begins. 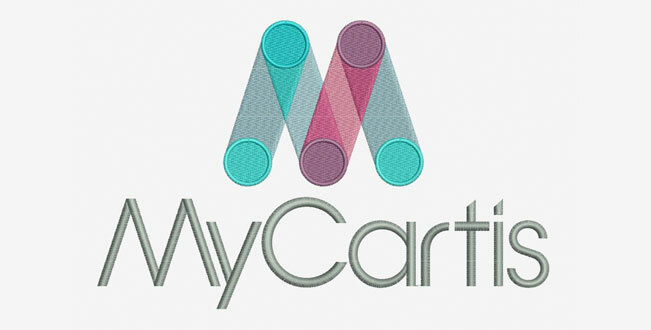 This provides you with an opportunity to review the layout of your design and the size it will be embroidered. Please note that these samples are used for illustration purposes and only provide a representation of the finished garment. For us to achieve the best possible results we require your artwork to be prepared in a suitable high resolution format. We accept artwork via email or on disc in the following formats: Adobe Illustrator file, EPS, PDF, TIFF, PSD or JPEG at 300dpi with all fonts outlined. These are the preferred formats so if artwork is provided correctly no artwork charges apply. If you have a specific colours in mind or need to match the colours in your corporate identity please provide Pantone reference numbers so we can match the Madeira thread colour as close as possible. We use the Pantone Solid Coated Guide for colour matching. Download the Madeira Classic thread colour guide and the Pantone colour to Madeira colour conversion chart using the links below to help you choose the colour of your embroidery thread. In order for your design to be embroidered it needs to be converted into a file format that an embroidery machine can read. At A4 Apparel pricing for this process is totally transparent; in general large complex designs cost more than simple text. For example an embroidery made up of plain text will cost roughly £15 to get digitised where as an embroidered left chest logo would cost between £20 - £25. 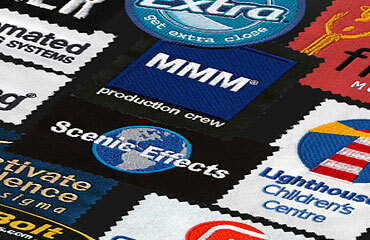 If you require a large area of your garment embroidered or if your design is of a more complex nature please contact us. The embroidery pricing table on each product page shows prices for embroidering your design based on the quantity of garments you require and the number of stitches in your design. Each individual blank (undecorated) garment has its own cost which you can refer to on the relevant product page. Once you have chosen your work wear or clothing, use the table to calculate the embroidery price to be added to the garment cost. NB All prices in the table are based on purchasing your clothing from A4 Apparel. 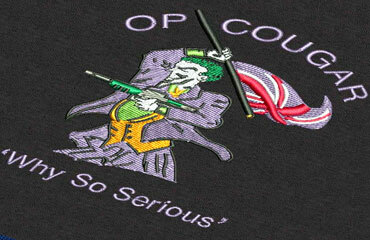 If you wish to supply your own clothing a 20% price increase will be added to all embroidery prices. There is no minimum order for embroidered garments.